Air Namibia has taken delivery of its first A330-200 from Airbus at a ceremony in Toulouse. The aircraft is the first of two A330s being leased by Air Namibia from US lessor Intrepid. The airline’s A330 features a two-class cabin layout seating 244 passengers which comprises 30 business class seats and 214 economy class seats. 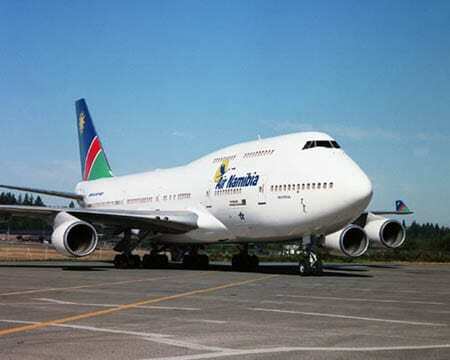 Air Namibia started commercial services with its first Airbus aircraft in 2006 with an A340-300. The airline currently operates four A319s on regional routes, as well as two A340-300s on its flagship service from Windhoek to Frankfurt. ‘’The high efficiency and low operating costs of the A330 makes it a perfect fit into our fleet. With an aircraft we know to be both reliable and comfortable it will offer the best flight experience to our passengers. “said Theopoltina Namases, Managing Director of Air Namibia. The airline will benefit from unparalleled fuel efficiency and reliability and passengers from the most comfortable cabin in its class. The unique fleet commonality between Airbus aircraft families allows the A330 to fit seamlessly into Air Namibia’s existing fleet.